One Seattle company is trying to make comfort-food candy a thing. 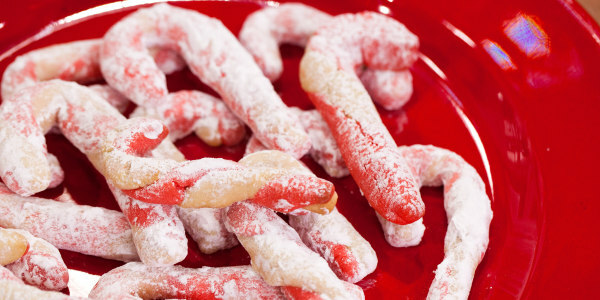 Peppermint candy canes are a staple during the holiday season. But imagine waking up on Christmas morning only to find macaroni and cheese-flavored candy canes hung from the chimney with care and peeking out of stockings. No, this isn't a nightmare. These orange-tinted, cheese-flavored candy canes are real and the internet is not happy about their existence. 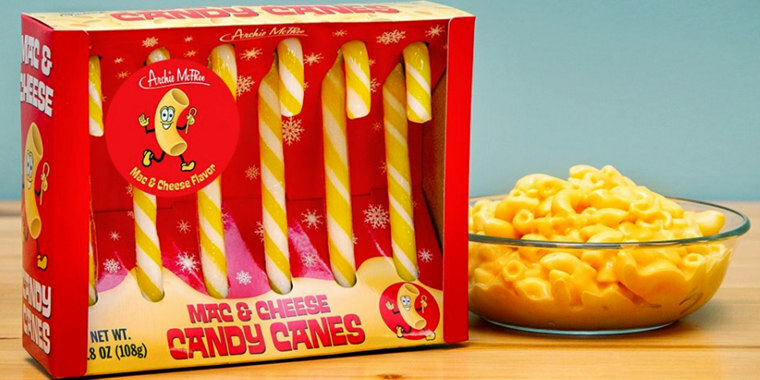 Archie McPhee, a Seattle-based store known for its wild and wacky products, is marketing Mac & Cheese Candy Canes for the 2018 holiday season. Described as having "instant mac & cheese flavor," the cheesy candy canes come six to a box for just $5.95. The online product description reads: "Macaroni and cheese has become a holiday family tradition in many parts of the country, so why not let our holiday candy reflect that?" Um, maybe because the idea of sweet, crunchy cheese is kinda gross?! After receiving a box of the now viral canes, JunkFoodMom, an Instagram account with more than 30,000 followers, reported that the candy cane “smells like cheese and tastes like mac 'n cheese but the sweetness overpowers the flavor eventually, so it’s doable." While a few people on social media say they're digging the idea, many more are gagging. On Instagram, there were comments like "stop the madness!," "sounds disgusting" and "I’m not sure how to feel about these ... I’m intrigued and disgusted." Jelly Belly makes buttered popcorn flavored candy canes. They’re not as good as the buttered popcorn beans, but edible. This mac and cheese atrocity is a hard pass. If you're not too grossed out by mac and cheese-flavored candy, how about trying the company's clam, coal, pickle or rotisserie chicken-flavored varieties? Maybe sweet, cheesy macaroni isn't so bad, after all! One Instagram user said they felt like they were on an episode of "Fear Factor" when trying to eat the rotisserie chicken candy canes. Of course, for the slightly less adventurous food mashup lovers out there, there are also Oreo-flavored candy canes. Other unusual products on Archie McPhee's roster include dill pickle mints, gravy candy, wasabi candy and bacon gum balls. Maybe we just need one of Sonic's Pickle Juice Slushes to wash it all down.